﻿ Book Hotel Fleur de Lys (San Jose) - 2019 PRICES FROM $53! Have a question for Hotel Fleur de Lys? 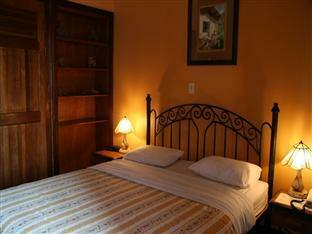 Situated in Catedral, Hotel Fleur de Lys is the perfect place to experience San Jose and its surroundings. From here, guests can enjoy easy access to all that the lively city has to offer. For sightseeing options and local attractions, one need not look far as the hotel enjoys close proximity to Mercado Nacional de Artesanias, National Museum (Museo Nacional), Central Bank (Banco Central). Offering hotel guests superior services and a broad range of amenities, Hotel Fleur de Lys is committed to ensuring that your stay is as comfortable as possible. The hotel provides facilities for disabled guests, Wi-Fi in public areas, car park, room service, airport transfer to ensure our guests the greatest comfort. 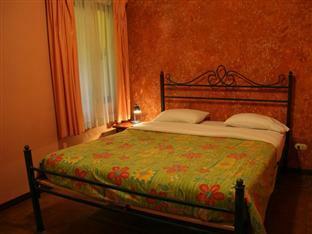 Hotel Fleur de Lys is home to 30 bedrooms. All are tastefully furnished and many even provide such comforts as internet access – wireless (complimentary), whirlpool bathtub, non smoking rooms, desk, mini bar. Besides, the hotel's host of recreational offerings ensures you have plenty to do during your stay. 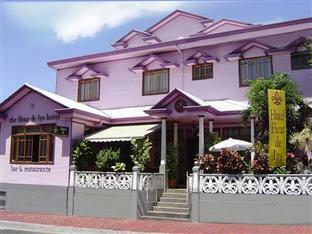 Discover an engaging blend of professional service and a wide array of features at Hotel Fleur de Lys. Great staff. Just father and son stayed one night after a late flight. Nice breakfast and service. The place is clean, it’s a classical building that has been upkept very well, and the staff—especially Daniel at the front desk—were amazing. San José’s hidden gem. This is a old hotel that has been kept up well. Internet and breakfast are good. 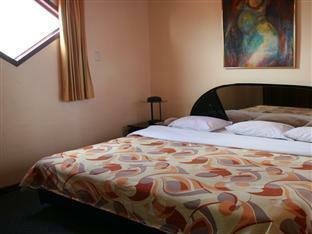 This hotel is in a good location within walking distance of the National Museum and restaurants and some city parks. The room was OK. One outside window overlooking the roof. No screen in window, so hesitant to leave window open. Two twin size beds, relatively low to floor. Substandard linens, but mattress was comfortable. There are better rooms in SJ for the same or less money ($65/night) that have AC and windows. The street side patio was a bit noisy, but the arrangement of plants and tables had a very relaxing, garden-like feel. It was a good place to take your morning breakfast, instead of staying in the restaurant. There is a very small bar next to patio, and the bar tender was very nice, and drinks reasonably priced. Railroad runs a couple blocks from hotel. Fairly frequent train with train horn. Did not bother my sleep or my stay. It was interesting to stay in an old mansion, but I would not stay for more than a day or two. Not good value for the price. Free internet, breakfast, and coffee all day. There is a bar that has live music on premises. The hotel is whimsical and cute, the rooms are all unique. 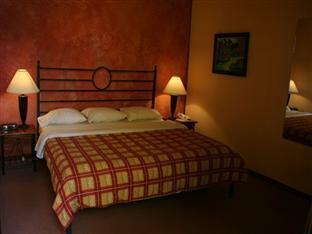 The hotel is within walking distance to downtown. The Fleur de Lys is a whimsical hotel with old world charm. The staff is friendly and go out of their way to assist. I arrived Friday afternoon and was helped by the front desk agent. I forget his name but he was quite helpful. He showed me how to get to downtown area by map and then when I asked about making tour reservations after the tours dept was closed he called the office to get information. This hotel is beautiful inside, I had the opportunity to peak inside some of the larger rooms. One had a jacuzzi tub. The hotel has lots of natural light because of the skylights above. It also unique because of the staircases. Each room is named of a flower. My room was cozy and had a terrace that overlooked downtown San Jose. There is no air conditoning in the hotel but the night air was comfortable. Saturday morning I was awakened by construction but this is of no fault of the hotel. Friday evening I sat on the patio listening to the permormance of a guitar player and singer. It was entertaining. Plus the drinks at the bar are cheap. I believe the margarita's were only 1500 colones each. If I am ever in San Jose I will stay at the Fleur De Lys. Das Bett schauckelt wenn sich jemand bewegt. Es lottert einiges. Sonst schön gemacht Decko aber für den Preis nicht das was es sein sollte. Personal nnett aber wo noch Geld geholt werden kann wird es geholt. Zb mussten wir früh raus, hatte mit Frühstück bekamen nichts da wir ein Lunch für 7 Dollar hätten zahlen sollen. Finde das kein Service hätte kostenlos sein sollen. Aus dem europäischen Winter sind die Nächte ohne AC zu heiss. Mittagessen gutes Tagesmenu, Frühstück tiptop..
angenehmer aufenthalt. leider kein lift. gute lage, aber die stadt hat man in einem tag gesehen. das hotel ist etwas teuer für das gebotene. Abbiamo pernottato una sola notte in questo bell'albergo coloniale con gli interni in legno e in cui le stanze non hanno il numero ma il nome di un fiore. Personale gentilissimo, ottimo collegamento wifi ed ottimo anche il ristorante interno. Difficilmente ci si sente attratti da San Jose', ma il pernottamento è stato utile per il trasferimento a Tortuguero. Non ci sono dubbi che l'albergo è tra quelli da raccomandare. We verbleven er slechts 1 nacht, wat voor San José want ons betreft ruim voldoende is. Het is een erg mooi (verrassend) hotel. bra läge lite i utkanten av san jose, ändå gångavstånd till centrum.